Since it began on March 10, 2009, this has been a bull market of historic proportions. It is the second-longest running in history. (The longest bull market – from October 11, 1990, to March 24, 2000 – lasted almost 10 years.) This one is fast approaching its ninth birthday. Since the 2009 low, the S&P 500 is up 379% for a phenomenal 19% average annual return. Alas, all good things must come to an end – and this bull market will too… eventually. Some believe high valuations will be the killer. Yet history shows that high ratios of price to sales, earnings or book value rarely cause stocks to roll over. The Fed’s determination to take interest rates higher is another threat. Indeed, rising rates are what has taken most bulls to the slaughterhouse in past cycles. Yet there is a still greater threat to the long-term health of stocks – one that could lead to the mother of all bear markets. And while everyone is at least vaguely aware of it, few seem adequately concerned about it. I’m talking about our gargantuan – and growing – federal debt and, in particular, the mind-boggling unfunded liabilities for Social Security, Medicare and Medicaid. The current gap between the expected cost and the expected revenue for these three programs is $112 trillion – or more than $922,000 per taxpayer. One hundred and twelve trillion dollars is more than the world’s entire annual economic output. Yet we’re talking about the projected shortfall between expected outlays and tax revenues for just three U.S. entitlements. And the figure is growing by trillions annually. Many Americans believe the greatest political problem facing us today is radical polarization. The two parties can’t agree on what to have for lunch. Yet Pulitzer Prize-winning political columnist George Will has an entirely different take, one with which I wholeheartedly agree. He argues that the real threat isn’t divided ideologies. It’s just the opposite: consensus. The consensus among representatives of both major parties is that year after year, in good times and bad, Americans should receive substantially more government goods and services than they pay for. Indeed, I’m convinced that one reason for Donald Trump’s upset victory in the 2016 election is that he ignored the usual conservative rhetoric about limited government, balanced budgets and fiscal responsibility – things Republican candidates love to promise but never deliver – and openly promised to spend more. On top of this, he promised not to change Social Security or Medicare. Trump also signed a tax bill that – while good for business, the economy and the stock market in the short term – will add a projected $1.5 trillion to the debt over the next decade. At this point, you might reasonably ask, what’s the big deal about another measly trillion and a half dollars? The answer – as Argentina, Greece and Venezuela have amply demonstrated – is that public spending is not limitless. Eventually, there are consequences. And those consequences play out in the financial markets in an ugly way. We are sleepwalking into the most predictable crisis in our nation’s history. As the baby boomers retire and the entitlement state becomes more and more oppressive, the natural instinct of the government is going to be to increase the weight of government by increasing the tax rate, producing a death spiral. More debt will lead to more and higher taxes, including – predictably – a regressive, European-style value-added tax (VAT). That, in turn, will lead toward European-style economic stagnation that will only reduce revenue, increase the debt and add to more calls for higher taxes. Note that Will is no doom-and-gloomer. The man The Wall Street Journal calls “perhaps the most powerful journalist in America” has spent decades articulating America’s exceptionalism and arguing that the modern world – with its growing affluence, instant communications, lifesaving medicines and labor-saving technologies – is far better than most of us appreciate. There’s a big difference between being an optimist and a Pollyanna, however. 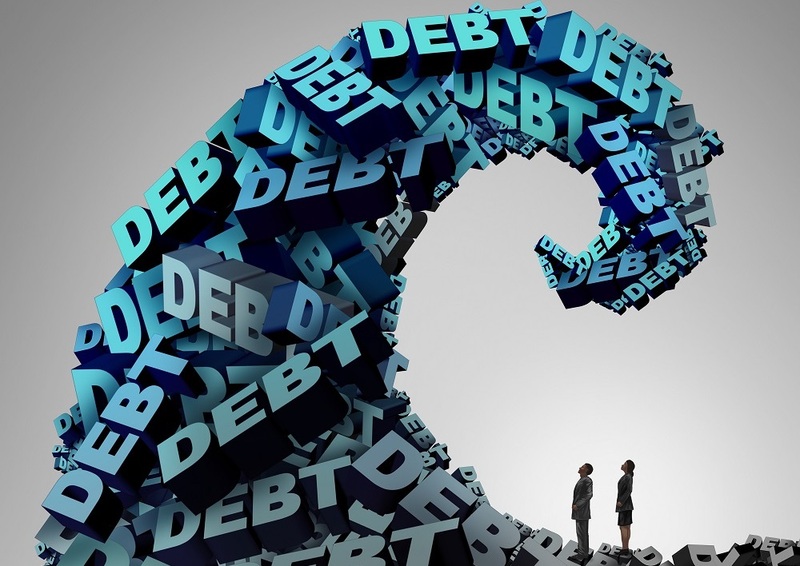 Mounting federal debt is a ticking time bomb. The question is what political steps can be taken to defuse – or at least ameliorate – this problem before it’s too late. Fortunately, my good friend and Investment U colleague Mark Skousen just invited George Will to speak at FreedomFest this year to address this very issue. In my view, no one understands how Washington ticks better than Will, a Washington Post columnist for more than four decades as well as an NBC News commentator. Low interest rates, cheap energy, globally synchronized growth and rising corporate profits make the short-term outlook for stocks highly favorable. But rising and unsustainable debt paints a sobering long-term picture. I’ll have plenty more to say on this vital topic in the weeks ahead. P.S. Join George Will and me – as well as dozens of other great speakers including publisher Steve Forbes, Whole Foods CEO John Mackey and Skeptic founder Michael Shermer – at FreedomFest at the beautiful Paris Resort in Las Vegas, July 11-14, 2018. As a regular attendee, I’d say it’s one of my favorite conferences. Register now and save $200 off the regular price. Mark Skousen has also secured a super discount on hotel rooms at Paris – only $129 per person. Register now at www.freedomfest.com or call toll-free 1.855.850.3733, ext. 202.